A jury has been selected and opening arguments in the re-trial of Michael Dunn are scheduled to begin Thursday in Florida. 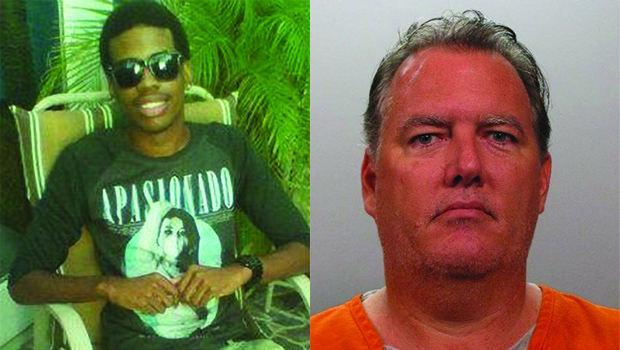 Dunn is charged with second-degree murder for shooting and killing 17-year-old Jordan Davis on November 23, 2012 in the parking lot of a Jacksonville gas station convenience store after an argument over loud music coming from inside the SUV Davis and three friends were sitting in. In February, a jury convicted Dunn on three counts of attempted second-degree murder for shooting into the car full of teens, but was unable to reach a verdict on the top count of second-degree murder in Davis' death. Dunn has yet to be sentenced but faces up to 60 years in prison on the attempted second-degree murder charges. CBS affiliate WKMG reports that Dunn is now being represented by a court appointed attorney and that the prosecution is expected to call many of the same witnesses, including the teens who were inside the SUV. According to the attorney representing Davis' family, the new jury is made up of seven white men, three white women, one black man and one black woman. The previous jury included four white men, four white women, two black women, one Asian woman, and one Hispanic male. Circuit Judge Russell Healey denied a defense request to move the trial from Jacksonville. Dunn argued that he shot Davis in self-defense after seeing what he thought might be the barrel of a gun in the window of the SUV. Police found no weapon and prosecutors have insisted the teens were unarmed. The case received national attention in part because of Florida's self-defense laws, which allow a person to use deadly force if he has a reasonable fear he is about to be attacked or killed.